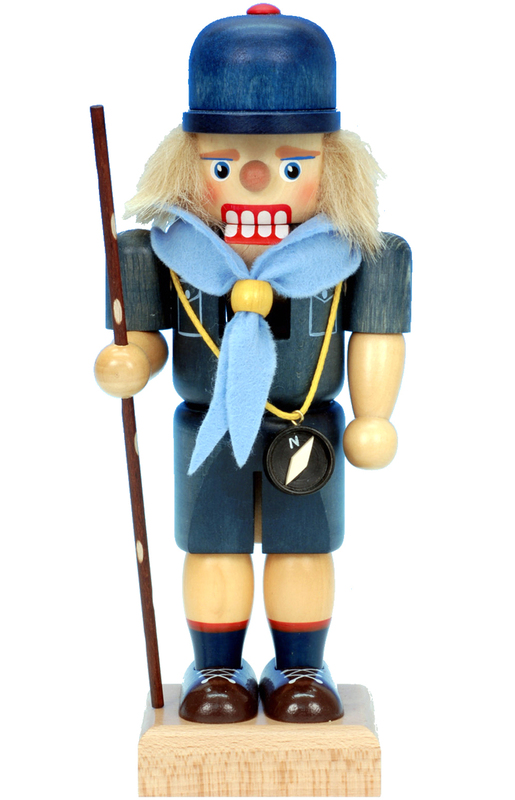 32-213 - Nutcracker - 9H x 3.75"W x 3.5"D"
32-213 - Christian Ulbricht Nutcracker - Cub Scout - 9H x 3.75"W x 3.5"D"
We honor the organization this year with our Cub Scout nutcracker. He looks like he's ready for a den meeting in his blue scarf and uniform. Made by Ulbricht/Seiffen from wood - hand-painted and imported from Germany.